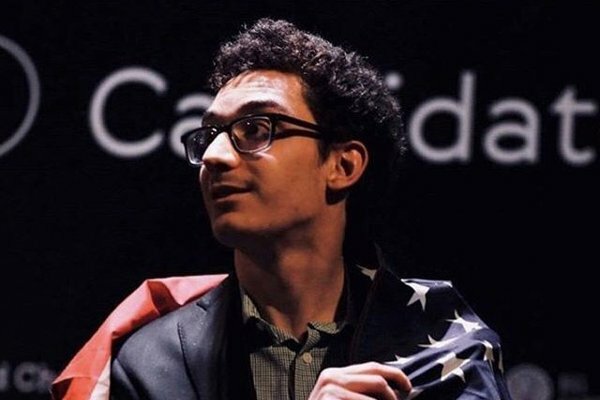 The Candidates Tournament in Berlin has delivered its verdict : only one place to take, and Fabiano Caruana has won it. He will face Magnus Carlsen for the world title, in a 12-game match that will take place November 3-27 in London. I’m coming back here on each of the eight players performance in Berlin, from the bottom rank to top. 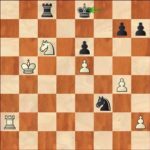 Aronian-Ding, R1 ; 8.h4!, an excellent novelty. 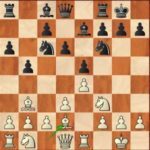 Aronian-Kramnik, R3 ; with a quick …Rg8 and …g5, black took over the initiative right out of the opening. 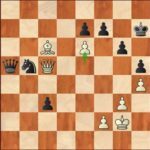 He immediately recovered with black, taking full profit of a bad move order in the opening from Karjakin. It’s a really lovely scenario to fully recover this way, but on the other hand, he didn’t have much to show in this game. The next round, he missed a golden opportunity against Grischuk, then was clearly dominated by So. 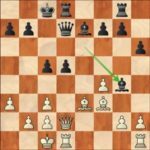 So he decided to try an all in in round 7 against Caruana, and this is the real turning point of his tournament. 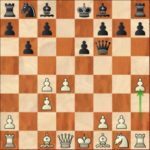 Aronian-Caruana, R7 ; 16.g4!? sacrificing a second pawn, a bold idea which will not pay off. It is the moment when we realized that he was not on par with his decision making process, despite a few good ideas in his white openings. He happened to be less precise than Fabiano in this game, and also less competitive in his calculations. From then on, with -2 halfway, he seemed demotivated. The remainder of his tournament appeared to be chaotic, and it could even have turned out worse ! On the whole, we can safely say that he was « out of the game » during the second half of the tournament. In fairness to him, it is really difficult to regain motivation when you have almost nothing left to play for, while players in the top of the table are, for their part, highly driven by their favourable tournament standing. I think that Wesley has taken a bit more risks than in an average tournament, and he produced 2-3 really good games. I expected more from him though, because on the other hand, his preps weren’t at the requested level, particularly with white, when he showed very little. Of course, he also suffered the consequences of a devastating start ; 0/2 in a Candidates Tournament casts a dark cloud on your tournament. All the more so that when he tried to recover after his one and only win, he immediately relapsed against Karjakin ! 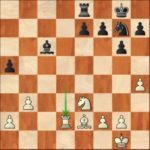 Karjakin-So, R7 ; the terrible 36…Ke8? will finally seal the American’s tournament. Certainly, he was more enterprising when the opportunity occured, but his inaccuracies and his light prep have in my opinion been a burden throughout the tournament. Once again, Sacha was hampered by his chronic time pressure, and from as soon as the first round ! Kramnik-Grischuk, R1 ; in time trouble, Grischuk will go astray in this almost equal position. He made up for this the next day, with a controlled win against So. Grischuk-So, R2 ; all white pieces are looming towards the black king ! After a streak of five draws, he beat Kramnik in a game which looks weird but was nevertheless well conducted from the moment he was a pawn up. As I have already written, Sacha is very inventive, and he sets a lot of problems to his opponents. His anti-Marschall idea comes to mind, even though it doesn’t belong to the most frightening moves list at first sight ! But such an idea is never easy to meet on the board. 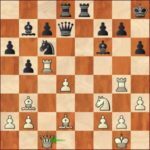 Grischuk-Aronian, R12 ; 9.Bd2, a new and subtle concept. He had the opportunity to obtain a large edge in this 12th round game, and had he won it, the final sprint may have been different. 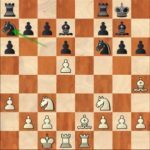 In the next round, given the tournament standings, he tried to keep winning chances intact against Mamedyarov, forgetting an awful tactical detail ! 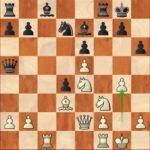 Mamedyarov-Grischuk, R13 ; 35.e6!, the intermediary move that hurts ! He then approached the last round against Caruana with good intentions, which is to be put to his credit, but Fabiano was simply too strong in this tournament. The attraction ! I think eveything could have been different had he won his round 4 game against Caruana. First he was worse, then the game had lots of twists, but it ended badly for him. Kramnik-Caruana, R4 ; the endgame is still complex but white is not far from winning. He showed that he deserved to be here, and I think thar for a first shot at the Candidates, it’s a real success. 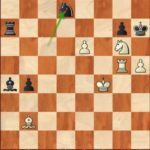 Indeed, +1 and only unbeaten player in the field, this is a really impressive result for the Chinese player, who commited very few mistakes and was so resilient in defence. Even when faced with great surprises, e.g. against Grischuk (round 4), he succeeded in reacting cold-bloodedly and with opportunism. The fact that he was objectively losing in this game is not relevant ! 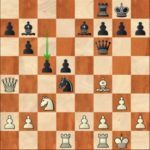 Grischuk-Ding Liren, R4 ; both players missed 22.Bh4+ Bf6 23.Qg4! which would have won by force. Only damper with a few restless games, and a difficulty to set real problems with white. For instance, in his game against Caruana, when he was caught by surprise a bit too easily. 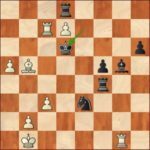 Ding Liren-Caruana, R2 ; black emerges from the opening with a pawn and good play for the exchange, as well as a comfortable lead on the clock. He happened to be precise enough in the vast majority of his games, even if he missed chances to wrap a couple of them up, but that was far from easy, except against Grischuk. Ding Liren-Grischuk, R11 ; instead of 29.Nf4, 29.Nd8! would have sealed the fate of the black king. I can’t help myself to feel somewhat supportive, as I know from experience how difficult it is to convert the advantage ! Ding Liren-Aronian, R8 ; neither will Ding manage to win this pawn up endgame. 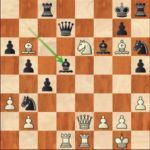 Against Caruana (round 9), his resilience was heavily tested and he finally cracked, before to be ultimately offered a half-point gift by his opponent ! But to get involved in the fight for the tournament victory, he should have done more, mainly to show a killer instinct as soon as an opportunity arises. He had such a terrible start (1/4 with three whites !) that he looked on his way to being nonexistent ! 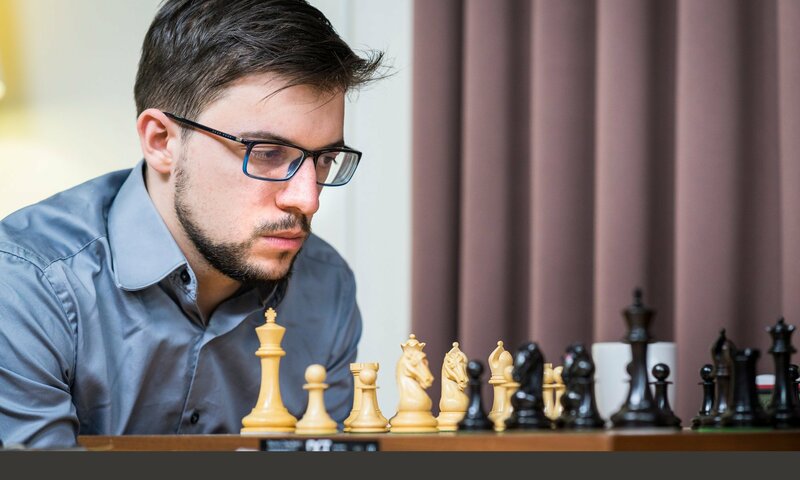 He began by losing a bad game against Mamedyarov, admittedly drew a solid Berlin against Kramnik, only to lose again with white to Aronian (round 4). Everything was in order for him to be the tournament’s « customer ». But when others would have collapsed, he hung on ! Following two further draws, there was the round 7 turning point, with this heaven-sent gift from So, which allowed him to set up a string of good results : these culminated with the 12th round victory against Caruana, which put him in the leadership with two rounds to go ! 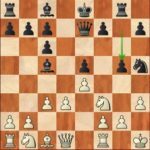 Karjakin-Caruana, R12 ; the exchange sacrifice 17.Bxd5! is very unpleasant for black. We thought he would do it again, like in 2016 ! It was not to be the case in the end but on the whole, as usual should I say, he displayed incredible mental resourcefulness, despite a disastrous start. He showed once again that he’s always there when it comes to the most important events. He showed a very good level, and proved regular. His second place is fully deserved.. He was among the contenders during the whole tournament, and ultimately finished not so far. 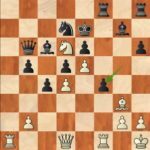 A single mistake by Caruana in the last round would have sent him to face Carlsen ! He has often been entreprising, sometimes a bit timid though. He made intersting tries, in particular with black ; I’m thinking of his …g6 Spanish against Karjakin, or his Najdorf against Caruana. I even have the feeling that he was more prone to trying hard with black in the first half. Everything went well for him, under control, until he burned his own wings in round 12 against Ding Liren. Mamedyarov-Ding Liren, R12 ; 33.g5?, the beginning of a desperate counter-attack on the Kingside which will lead to nowhere. Maybe he became overconfident or overoptimistic in this game, as if his old demons had come back to haunt him. I won’t pretend to lack superlatives, but Caruana’s performance is really outstanding. As of the first game, he set the tone, with a very nice idea in the opening which caused problems to So, though not the easiest guy for that ! In numerous games, he went towards complications by himself and if beforehand, it might have fallen back on him, it was not to be the case in Berlin. He arrived fresh in Germany, with a lot of ideas in store, and a great deal of cold-bloodedness. Almost all his games were interesting, and he got that little bit of extra luck in his round 4 game against Kramnik. Thus he quickly found himself in pole position. Afterwards, he didn’t fully benefit from the chances that were given to him. I will point out his rounds 8-9 games : against So, he tried hard with his Russian Defence once he understood that he had taken an edge, but finally didn’t manage to win it. So-Caruana, R8 ; after the nice manoeuver 15…Na7-c8, it is black who is pressing. 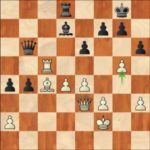 Caruana-Ding Liren, R9 ; white misses 66.Nf8+! Kg8 67.h6 which won by force. Then he played two solid draws against Mamedyarov and Kramnik, and that’s the moment when his only poor game happened, round 12 against Karjakin. In fact, he carried during the whole game the burden of a bad decision, that is allowing an early and very promising exchange sacrifice. I immediately understood during the broadcast that it might end up badly for him. But hats-off to Fabiano for finding enough physical and mental ressources to win the last two games and secure his victory without having to rely on other’s results. 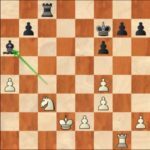 By the way, I must say that I understand why he didn’t offer a draw to Grischuk after he knew that a half-point would be enough. His position was technically winning, the risk of losing was zero, so he didn’t see any reason why not to take the full point. For his entire body of work in Berlin, Fabiano fully deserves his official status as a Challenger for the world title, which is a due reward of a marvelous job ! Finally, this Candidates Tournament looked like the 2013 one (won by Carlsen) and also the 2016 one (won by Karjakin) for its finish. It was a spectacular tournament, nobody refrained from playing, every player unleashed blows and took risks. There were lots of things to see and to appreciate as an onlooker. The forthcoming Carlsen-Caruana match in November will undoubtedly be very nice to watch. I expect Fabiano to look for the initiative and thus we should certainly be offered a heavily appealing encounter ! During the weekend of March 24-25, the 25th edition of the « Trophée des Grandes Ecoles » took place in the Tour First of La Défense-Paris, where the headquarters of the organizer EY are located. We can safely assume that now, with more than a quarter of a century of existence, this event holds a privileged place in the french chess calendar. Conceived as a competition beetween Grandes Ecoles from all over France, the initial tournament is played over rapid games, and this year, brought together almost 200 students from 43 Grandes Ecoles. The Trophée’s distinctive feature lies in the offer made to the eight best teams to face a world class player in a clock simul. This year, Maxime had been invited, and it was the third time, after 2007 and 2013. It is fair to say that he didn’t do things by halves, winning his eight games with a large margin on the clock, even if two of them were not as simple to win as the score suggests !